Karen Barrett Daley is a Principal & Consulting Actuary with Perr&Knight. As the Director of Actuarial Services, she is responsible for the leadership and general management of Perr&Knight’s Actuarial Practice area. Karen values the long term relationships she has established with her clients, under which she not only provides project-based consulting work, but also acts as a trusted advisor, informing on industry trends, collaborating on product innovation and navigating regulatory/compliance issues. Her consulting projects include new product development – leading project teams that cross multiple practice areas, as well as pricing analyses and reserve reviews. Karen has extensive ratemaking and reserving experience for commercial lines including medical malpractice, specialty casualty, commercial auto and commercial property. She also has extensive ratemaking experience with niche consumer products such as travel insurance, personal electronics/property and pet insurance. In addition, Karen’s reserving experience extends to private passenger auto and homeowners coverage. Karen has been providing property & casualty actuarial services since 1992. 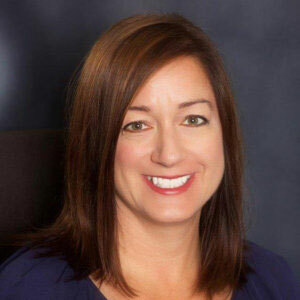 Just prior to joining Perr&Knight’s Boca Raton, Florida office in 2002, Karen worked as Vice President of the Property & Casualty Actuarial Department at Assurant Group, where she managed a staff of 12 actuarial professionals responsible for supporting over 200 niche insurance products. Her past employment also includes the National Council on Compensation Insurance (NCCI). Karen graduated from the University of Florida with a Bachelor of Science in Mathematics and a minor in Business Administration in 1992. She became a Member of the American Academy of Actuaries in 1997 and a Fellow of the Casualty Actuarial Society in 1999. Karen actively continues her professional education by participating in and presenting at insurance industry conferences and seminars.